Beer Academy — Beer Academy really won my heart over with great service, a small (but perfect) selection of foods, and of course great beer. The beer is all brewed on site, and they offer unique tours on most weekends, check out their site for more details. The tour guides you through the brewing process as well as explains how to properly sample beer and pick out different flavorful notes. My favorite beer by the Beer Academy is the Black Lager & I loved the pickle and cheese sandwich (mostly because I just love pickles and cheese — I was quite excited to find it on the menu). Mill St. Brew Pub — With four different locations through out Ontario, Mill St. is making its way as one of the well known Brew Pubs in the area. I visited the Mill St. 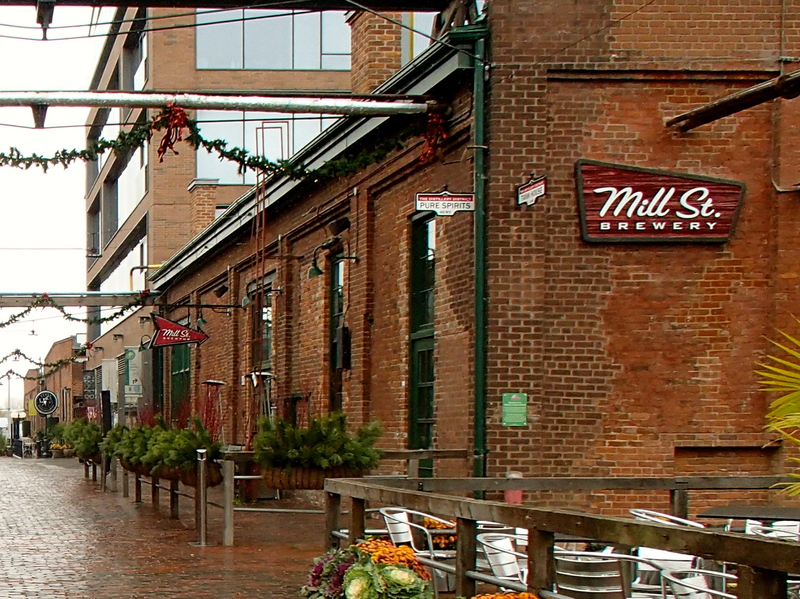 Brew Pub in the Distillery District (a historic area of Toronto & the largest preserved collection of Victorian architecture in North America). I was quite impressed by the beers at Mill St. My favorites were the Vanilla Porter, Frambozen, and Oktoberfest. For a snack, I had the Spinach, Artichoke, and Stilton dip, which was great as well! 3 Brewers — Frankly, I was quite disappointed by the service at 3 Brewers’ bar. Setting that aside, I loved the location and how they had designed the restaurant/pub. 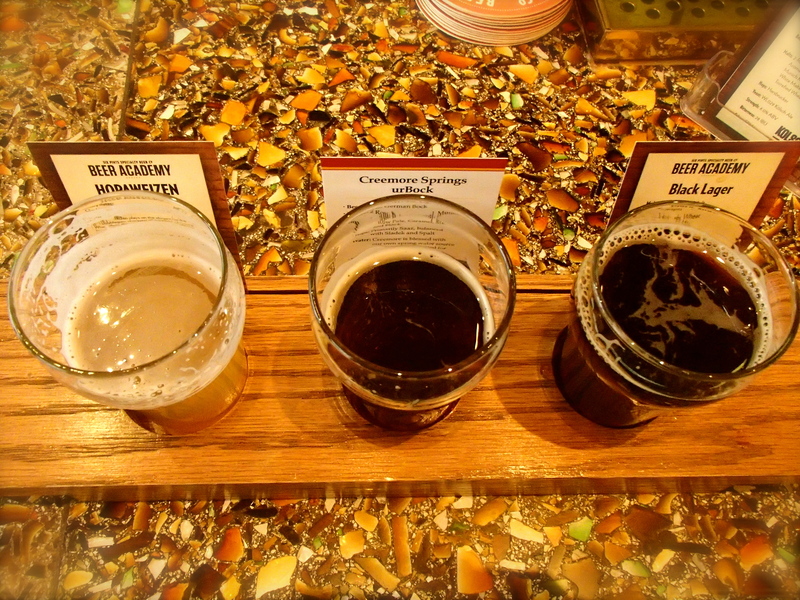 Overall, 3 Brewers sticks to more traditional styles of beer. I enjoyed the Amber. Steamwhistle Brewery — Located in a historic building just across from the CN tour and right next to the Railway Museum, Steamwhistle offers tours to the public. I would highly recommend attending one of these tours. The guides are passionate and for good reason. This is a grass roots company that started out of good intentions for good beer. Their motto “do one thing really well” explains what they are about: they make one type of beer and they make it really well, a pilsner. The name “steam whistle” came from the idea that at 5 o’clock when the work day is over, a steam whistle is blown letting those around know that it is time to relax and enjoy a beer. There are a couple of tour options: $10 (for a tour, souvenir, and a beer for the tour), $15 (for a tour, 6pack, and a beer for the tour), or $26 (for a tour, a 12pack, and a beer for the tour). 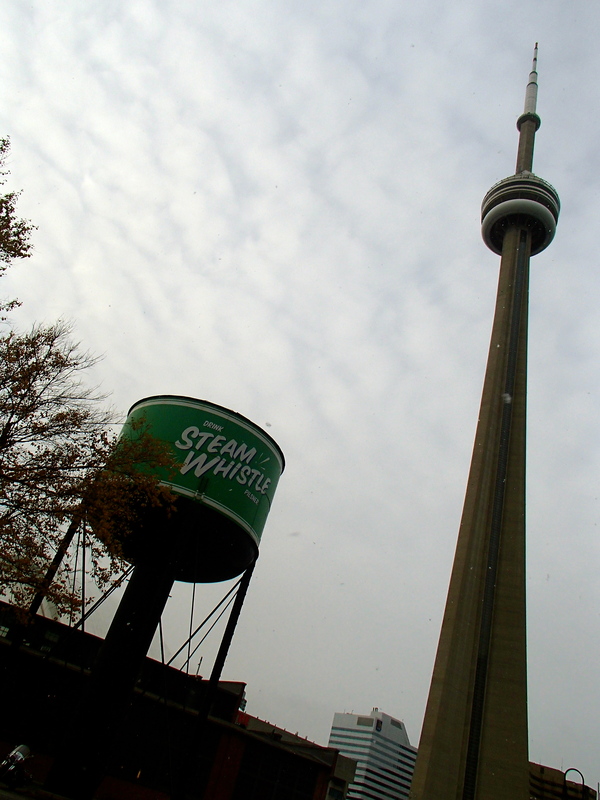 Again, I would highly recommend stopping by Steamwhistle Brewery while in Toronto. Consider making reservations online for a tour, especially in the summer! New Amsterdam Brew House— Unfortunately, I did not get to make it to their actual brewery, but I did get to taste some of their beer. New Amsterdam is one of the more popular breweries in Toronto, especially well known for their Bone Crusher IPA. I love that New Amsterdam makes small beer batches that are only available in the tasting room. It is a great way to try out the public opinion of a beer, and it shows they are working hard to create new and exciting things for their customers. Check out the menu for the current beer list, as it may change as the small batches come and go. C’est What? 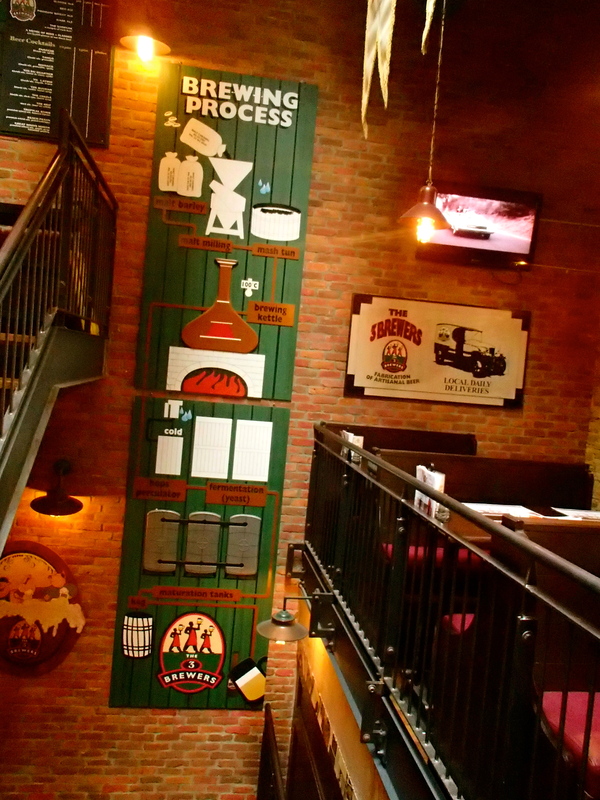 Brew Pub — Located in the cellar of at 19th century building in the St. Lawrence market area, C’est What? offers a large selections of local beers. My favorite beers that C’est What brews are the Coffee Porter and the Rye Beer. In addition to their beers, the atmosphere is great with pool tables, a good food selection, and often live music. 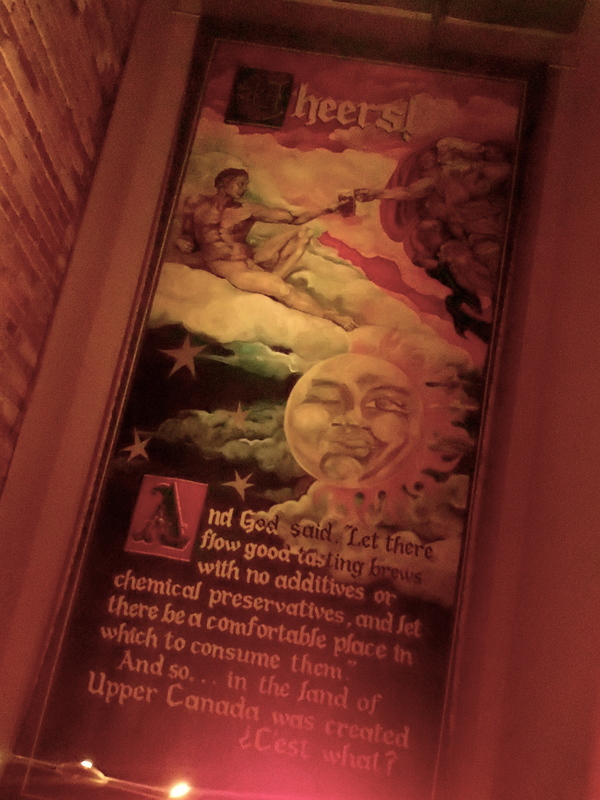 And God Said, “Let there flow good tasting brews with no additives or chemical preservatives…” C’est What? Tags: alcohol, bar, bars, beer, brew, brewery, canada, cider, culture, diner, diners, dinner, drinking, drinks, enjoytravel, favorite moments, toronto. Bookmark the permalink.